Standing inside my mother’s former home for the first time, I notice the uncovered skylight. The floor beneath it is moist with rain that has fallen through. Scratched pots and pans lay cluttered on the stove. The furniture is dusty and sticky with age. Only the barest traces of my mother’s stories remain, buried among the charcoal ash in the wood-burning stove and veiled within Chairman Mao’s faded portrait hanging over the dining table. After ten years of waiting, fourteen hours of turbulent plane flight, and eight hours in a rattling bus, I am finally in Jiexi, a county in the southeastern province of Guangdong, China. For my mother, this is the village where she spent her youth. For me, it’s the village of my mother’s vivid stories. Yet, despite all these mud-colored and dirt-streaked houses, what I see now is not anything like I dreamed. My mother was born just a few years before Mao died, living in a time when people kept the work ethic and spirit but not the stricter Socialist ideas. The life she spun in her stories possessed few physical luxuries, but was uniquely rich in spirit and ambition. She would tell of the boy who refused to share the village’s only TV, and how she got revenge by throwing a fist-sized ball of cobwebs into his bedroom window. Or maybe how her father got a little tipsy each dinner and would repetitively lecture her for hours on important life values. Back then, nobody thought twice about children openly defecating into a dirt hole beside the road. All meat was home raised – oinking, clucking, and quacking right inside the living room. Yet, teachers would shame a child for carefully fastening her hair bows instead of studying hard. Reading fiction or naming pets was an impractical and absurd use of time. “On our roads roamed numerous cats and dogs that were used for functional purposes like rat-catchers, guards, and food – but never as pets.” I walk down the now-empty, dusty, and unpaved road, crushing used cigarettes and chunks of dirt as I go. “I collected buckets of water from the village well each day and brought them home for the family.” The water buckets are now dry and cracked, their insides streaked with mold and shadows. 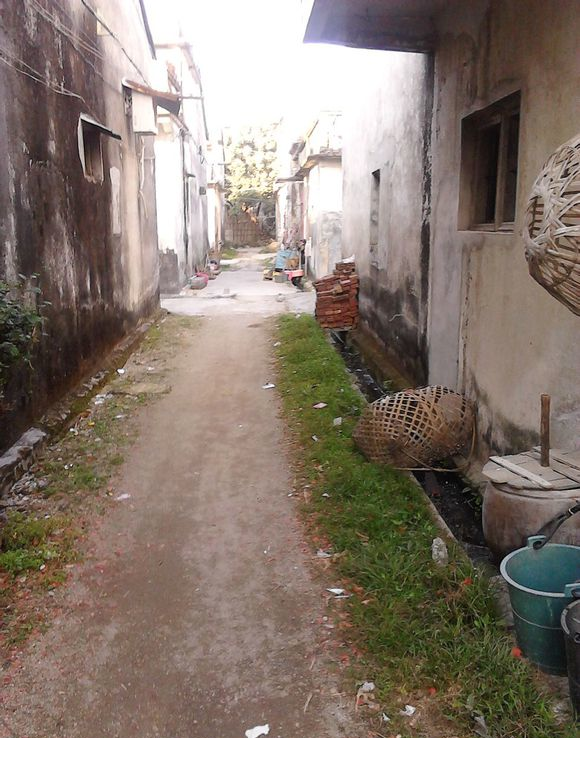 “Before Mao died, a loudspeaker attached above our house’s door woke the community up with spirited, political songs.” But this seemingly deserted place is quiet, its formerly revolutionary spirit extinguished – except in my mother’s stories. Despite the village’s shabby condition, there are still signs of life – an occasional villager, a rack of drying clothes. 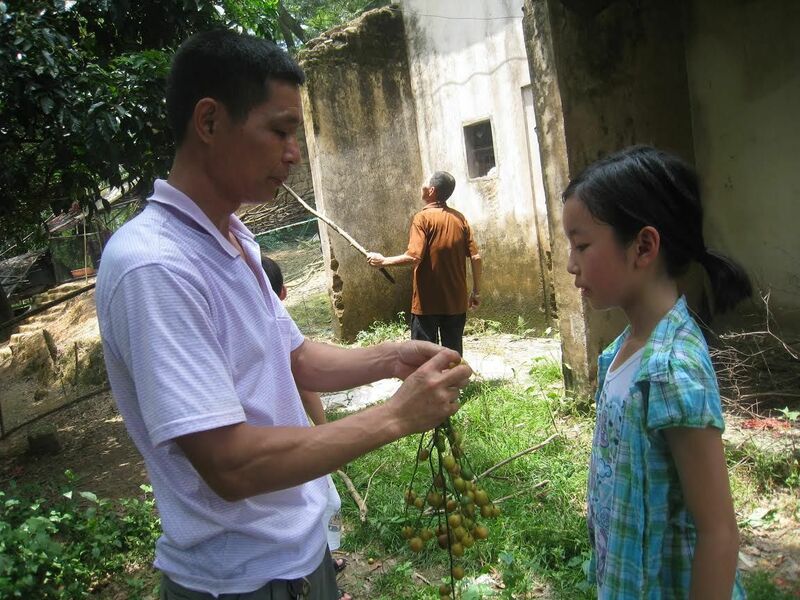 As I walk through a small garden, my uncle thrusts his hand into the soil and digs out fresh, moist peanuts to eat. Two sweaty children, tanned brown by the sun and wearing faded clothes, openly stare at us, colorful foreigners trampling through their land. A few old men, wearing layers of wrinkles carved by the rivers of time, smoke in front of their doors. In only a few decades, the young people of this village – and all of China, in fact – have leaped far away from their poverty-stricken history and into the big cities, leaving behind aged people and aged memories. To preserve the little village and its resilient spirit, stories like my mother’s must be retold, written, and passed through generations. Or else the dirt-caked childhood of my mother’s memories will disintegrate into oblivion, leaving future generations to remember only an abandoned shell of weeds and crumbling buildings.